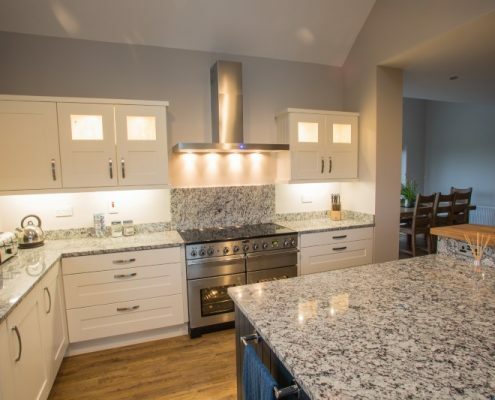 Granite work surfaces have always been considered the most practical and elegant work surface for a kitchen. They can be cut and polished to suit any design, and we can incorporate any style of sink and kitchen appliance. Granite comes in a huge range of colours and, here at Egan Stone, we are always searching for new and exciting varieties. 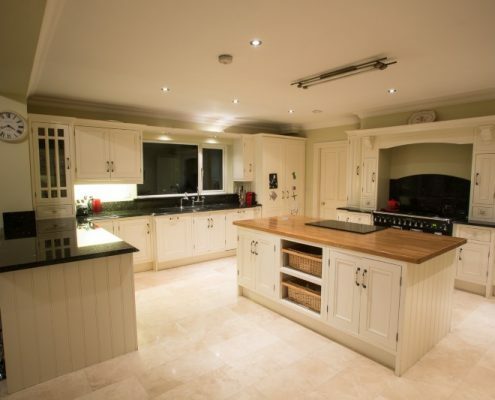 The fronts of your kitchen units and the worktops make the first impression in any kitchen. For a stunning kitchen countertop a solid stone is the ultimate in luxury, design and look. Granite, marble, and quartz are hardwearing natural stone that can make any kitchen look great and be a pleasure to work and cook in. Granite, Marble and Quartz offer durability, easy care and natural beauty. 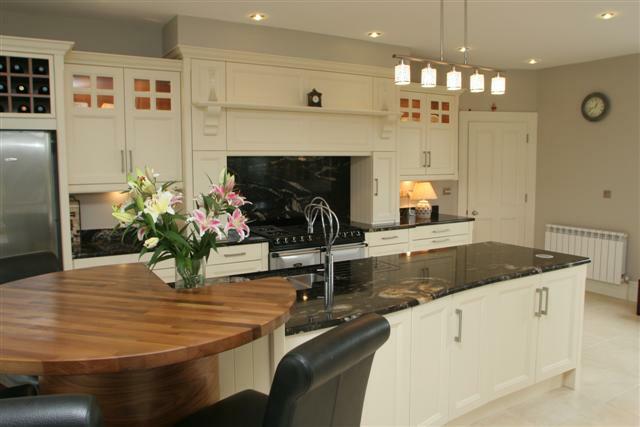 Craftsmanship and top quality material result in kitchen countertops that create a stunning cooking and family area. Countertops can be almost any length and come in a huge range of colours with various finishes to suit almost any taste. 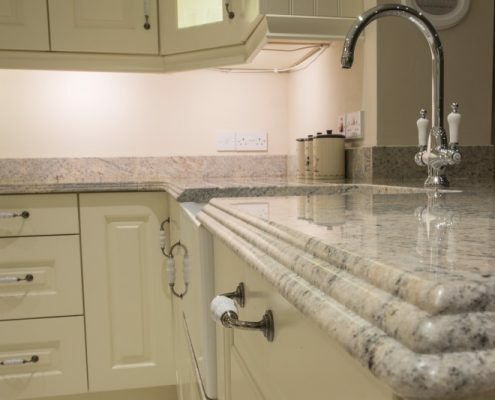 All of our worktops are made to measure. We will cut out and bevel the area for your hob, and we can create almost any shape that you require. An upstand is normally shorter than a splashback. Where splash backs are used to protect the wall the upstand is normally a decorative cladding attached to the wall and work surface, either in front of or under tiles. 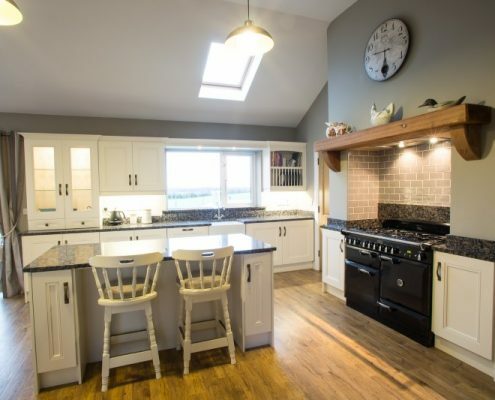 Often a splash back and upstand are used together in different places within your kitchen. A recess sink and drain area can be cut by design to the area specified. Drain groves can be created on the flat surface or recessed to create an area that will contain drain water from the sink. A sink area, double or single, of almost any shape and size can be cut to fit along with holes for taps. If there is space a central island can be a great asset in your kitchen. The extra space to prepare food on, to use as a place to eat, or just to sit around with friends and chat over a glass of wine or coffee. When choosing your work surface we can design the countertop to have the same edging as the rest of your kitchen and add any cut-outs that are required.